It so hot these days. Wanted to do something which will be refreshing for the hot day. 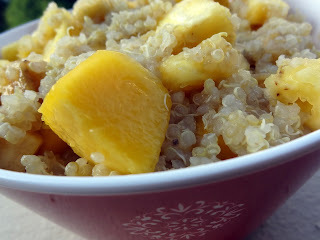 I love all tropical fruits so decided to try with favourite Quinoa and make main meal out of it. It turn out to be very refreshing, tangy and perfect for a hot summer day. It is so easy to do and very healthy. And easy to include fruit serving as part of your daily meal.